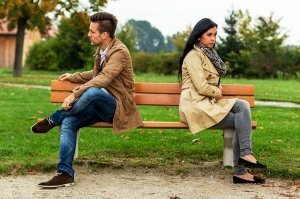 A contested case is one in which a spouse does not respond to the divorce notice, or asserts that certain issues need to be resolved prior to agreeing to the terms and conditions of the divorce. What are the possible issues that may need to be resolved in contested cases? How can contested cases be resolved? Mediation – In contested cases, if the spouses are close to agreement on most issues, it may be worthwhile to consider mediation. A trained mediator helps both spouses work out their differences and come to an agreement, which agreement terms can then be incorporated into a Marital Settlement Agreement and/or Allocation Judgment of Parental Responsibilities by an attorney for subsequent entry by a Judge. Litigation – If the above dispute-resolution processes fail, contested cases may have to be settled in court through litigation. Such contested cases may become part of the public record. Your attorney must be well versed in Illinois law and have the negotiation skills necessary to ensure your voice gets heard during the litigation process. Retaining a highly-experienced and knowledgeable Chicago based divorce attorney is very important for expediting contested cases. Contact Ward Family Law, LLC today.